Let WDP help you spread your message in a BIG way!! ​Williams DocuPrep is your resource for low cost document design and printing services. Whether you are an author needing POD book printing or a media kit, a small business launching a new product or promoting a grand opening or a church looking to spread the word about your fellowship or an upcoming event look no further! 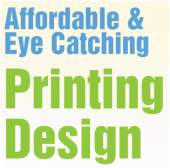 We provide printing services to all types of businesses, as well as individuals and non-profit organizations. We can virtually design and print any document you need. You Don't Have to Skimp on Quality to Save Money. Let WDP help you spread your message in a BIG way with high quality custom printed promotional items. Contact us TODAY and save on your next print project.